Second medical use patents protect the discovery that an existing drug is effective to treat a new condition. But, following the Supreme Court ruling in the Lyrica (pregabalin) case, how are such patents infringed, and what does it mean as we enter 2019? 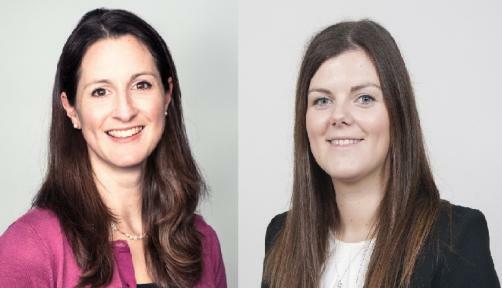 Stevens & Bolton’s Charlotte Tillett, Intellectual Property Partner and Head of Life Sciences (pictured, left), and Emily Hocken, Intellectual Property Trainee (pictured, right), explain. The repurposing of existing drugs is becoming ever more important in finding new treatments and can present significant cost savings compared to developing new drugs from laboratory to market. Successes include the use of thalidomide to treat cancer, the potential use of an inexpensive diabetes drug, metformin, to treat heart disease, and Ivermectin, which was originally developed for animal use but is now used to treat river blindness in humans. Many repurposing projects are currently underway, but one of the problems cited by researchers is that the patents on these compounds have run out, so there is little incentive for life sciences companies to invest in the clinical trials needed to bring the repurposed drugs to market. This is where second medical use patents can come to the rescue as a source of protection for the new use of a known drug. However, the area of second medical use can also be a controversial one in which some argue that there is a high risk of speculative patenting. In view of the increasing importance of repurposed drugs, the UK Supreme Court’s recent ruling in the long-running dispute between Pfizer and generics Mylan and Actavis in relation to Pfizer’s blockbusting ‘repurposed’ analgesic, Lyrica (pregabalin), was keenly awaited. Warner Lambert (WL), now a subsidiary of Pfizer, originally obtained patent protection for pregabalin itself (marketed under the brand name Lyrica) to treat epilepsy and general anxiety disorder (GAD). Pregabalin was also found to be effective to treat pain, and WL obtained a second medical use patent on the repurposing. This patent claimed, among other things, pregabalin for the treatment of pain and for neuropathic pain specifically. Patent protection for pregabalin itself expired on 17 May 2013, and the dispute began when WL’s data exclusivity for pregabalin ended on 8 July 2014. At that point WL’s monopoly was limited to the use of pregabalin for pain, and generic manufacturers were free to make and sell it for epilepsy and GAD. The immediate problem for WL was how to prevent use of the generic product for pain while leaving the generics free to market it for epilepsy and GAD. This problem was exacerbated by the fact that medical professionals knew that pregabalin was authorised for pain and because the NHS encouraged generic prescribing to save costs. Generics UK (trading as Mylan) and Actavis manufactured generic forms of pregabalin. In 2014, they each applied for WL’s patent protection for pain to be revoked. WL countered by bringing infringement proceedings against Actavis, arguing that it would infringe the patent unless it took positive steps to prevent use of the generic product for pain. Judge Arnold in the High Court came up with a novel solution: he ordered the NHS to issue instructions to its clinical commissioning groups to try to ensure that only the branded version (Lyrica) would be prescribed for neuropathic pain. In return, WL had to undertake to compensate the NHS in the event that any loss was caused by the order if the patent was later found invalid. After four years of court proceedings, disaster struck for WL in November 2018: the Supreme Court ruling confirmed that the second medical use patent was invalid. In fact, the patent had already expired. The immediate importance for WL of the Supreme Court’s judgment seems to be, therefore, a potential claim from the NHS, reported to be in the order of £500 million, for compensation for having to pay the higher branded price for Lyrica during the four years of the litigation as well as compensation claims from the generics. The judgment has wide implications in the life sciences space. In holding the patent invalid, the Lords in the Supreme Court applied an established rule against speculative patenting referred to as ‘plausibility’, which derives from European Patent Office case law. It formulated a stricter approach to this rule, setting a higher hurdle for patenting repurposed drugs. Given that the patent was held to be invalid, the Lords did not have to give judgment on whether there had been infringement. They did, however, provide non-binding comment, but could not agree on how a second medical use patent is infringed. As a result, the ruling does not give the legal certainty needed by life sciences companies and investors in this area, although it gives a number of pointers which patentees and generics will wish to factor into their strategies. Plausibility – is it credible? The plausibility rule introduces the idea that it must be clear to the person skilled in the art of reading the patent at the application date that the invention is plausible or credible to the full extent of the monopoly claimed. In the case of repurposed drugs, the object is to ensure that the inventor really has worked out a reason for believing that the drug will be effective to treat the new indication – if not, they will not have made a sufficient technical contribution to the art to justify the grant of a monopoly. Provided plausibility can be shown, life sciences companies are able to obtain patents early in the research cycle, before clinical trials have demonstrated that the invention actually works. This is also advantageous for the purposes of obtaining investment. The rule is intended to guard against speculative patenting – for example, where the inventor has tried to monopolise an area of potential future research on the basis of a guess or hunch – and also against ‘overbroad claiming’, where the inventor claims a monopoly that is wider than the information disclosed in the patent can support. The Court of Appeal had suggested that the plausibility test could be met based on the “slimmest of evidence”, or on material which is “manifestly incomplete”. While conceding that the test is relatively undemanding, the Lords, by a majority, set a stricter test. They emphasised the need to show some scientific grounds for supposing that the treatment would be effective, to tie this to “a direct effect on a metabolic mechanism specifically involved in the disease”, and to provide information in the patent specification itself showing these matters, although the scientific grounds do not necessarily have to be based on experimental evidence. The skilled person must be able to derive the reasons which make the invention plausible from the patent specification itself. The judgment also confirms that later evidence of plausibility cannot save a patent which was not plausible at the application date. The consequences of this are well-illustrated by the Lyrica case itself: this highly successful drug has shown itself to be effective to treat all neuropathic pain but that did not save the patent. Whereas some had hoped – or even expected – that the Supreme Court would weaken the plausibility requirement, the judgment does the opposite, confirming that plausibility will continue to be an important issue in the future. Those drafting patents will no doubt redouble their efforts to make sure that the scientific grounds for supposing that the treatment will be effective is sufficiently visible in the patent. However, it is not just a question of drafting: the emphasis on scientific grounds is also likely to encourage patentees to delay filing in some cases rather than risk disclosing insufficient evidence to pass the plausibility test. Overall, it is likely to be more difficult to patent and easier to challenge such patents on the grounds of plausibility, increasing the risks for innovative pharma in this area and arguably discouraging research on new therapeutic uses in some cases. On the other hand, the emphasis on plausibility may encourage more robust patenting, leading to better legal certainty for both patentees and generics. One of the peculiarities of second medical use patents is the way the claim is drafted. In older patents, such as WL’s patent in this case, the claim is in ‘Swiss form’ and focuses on whether the drug was manufactured for the purpose of the new indication. This has led to uncertainty about how liability for infringing second medical use patents arises, a point which goes straight to the enforceability and commercial value of such patents. Given the increasing importance of second medical uses in medical research, legal certainty about how such patents are infringed has become an urgent issue. The Court of Appeal had proposed a ‘foreseeability’ test; under this test there would (broadly) be infringement if it was foreseeable to the generic manufacturer that the generic product would be used for the patented indication. If so, sales of the goods would infringe unless the manufacturer had taken reasonable steps to prevent such use. This patentee-friendly test was designed to avoid a situation where the generic company knows that some of its product is likely to be sold for the patented use but turns a blind eye. The Lords were unanimous in rejecting this foreseeability test largely because of the practical uncertainties involved, and a fear that pharmacists dispensing the drug would be exposed to liability where there was leakage into the patented market. However, although all the Lords rejected the foreseeability test, they could not agree on what the correct test should be. Two of the Lords (Lord Briggs and Lord Hodge) favoured a ‘subjective intention’ test where the question would be whether the generic manufacturer subjectively intended to target the patented market. Factors coming into play here would include the packaging, labelling and patient instruction leaflet, documentary records of the manufacturer’s decision-making process (which could be required to be disclosed during litigation), behaviour such as flooding the market beyond the non-patented indications, or covert encouragement of dealers and pharmacists. Despite this, some would argue that, in practice, the difficulty of proving intention is a disadvantage of this test and was exactly what the Court of Appeal had been trying to avoid with its foreseeability test. A further disadvantage cited by the Court is that, because the test is based on the intention of the manufacturer, dealers and pharmacists could be exposed to strict liability under patent law for dealing in the infringing products, even though they have no knowledge of, or control, over that intention. All depends on the packaging? The alternative favoured by two of the Lords (Lord Sumption and Lord Reid) was what they termed the ‘outward presentation’ test. Here, the sole criterion for infringement would be the physical characteristics of the product as it emerges from the manufacturing process, including its formulation and dosage, packaging and labelling, and the patient information leaflet identifying the conditions for which the product is intended. The label for the generic product would be a ‘skinny’ one referring to the non-patented uses only. The advantage of this test is that it does not depend on the state of mind of the generic manufacturer and so provides legal certainty for third parties dealing in the product downstream of the manufacturer. The disadvantage is, of course, that it allows the generic company access to the patented market: under this test it would appear that, even if the proportion of non-patented use is tiny (as in a Dutch case relating to Zoledronic acid where 97% of sales were for the patented use), there would be no infringement. So which approach to choose? It fell to Lord Mance to be what he described as the ‘swing’ voice. He agreed that in most cases the ‘outward presentation’ test was the right one but he left open the possibility that, in some circumstances, elements of subjective intention would have a role to play. For example, subjective intention would be relevant if a generic manufacturer produced quantities of the generic product which ‘only made sense’ if they were for the patent-protected use or if the generic company were to point out in separate studies, reports or advertisements that the generic product was pharmaceutically identical to the one produced for the patented indication. The detailed discussion of infringement by the Court does not bind the lower courts; it was not necessary to resolve this particular case because the patent had been held to be invalid. Surprises in future judgments cannot, therefore, be ruled out. However, the Court’s reasoning is bound to have persuasive effect. The ruling deals a blow to patentees by prioritising the need for legal certainty for third parties and freedom to exploit the non-patented market above the public interest in rewarding innovation. The message for generics is clear: going forward, they will considerably reduce the risk of infringement if they comply with both the outward presentation and the subjective intention tests, ensuring both that the packaging of their product clearly indicates that it is intended for the non-patented indications and also avoiding any suggestion that they intend to target the patented market. Patentees are likely to monitor where possible the amount of generic product going to the patented market. In cases where the dosage or presentation is different, of course, the problem is likely to be considerably reduced. The Court emphasises that its analysis only applies to Swiss form claims. Although there are still many such claims in existence, applications submitted after 2011 must be made as purpose-limited product claims in the EPC 2000 format. Although these claims focus on the product rather than on manufacture, Lord Sumption rather cryptically suggested that these claims might give rise to “difficulties of their own, some of which are very similar”. Commentators are divided about how these claims will be interpreted by the courts and so we must wait for a case involving one of these claims for an answer to that question. Submitted by sheeraz khatri on Sat, 02/02/2019 - 15:19. Submitted by sheeraz khatri on Sat, 02/02/2019 - 15:35. Submitted by sheeraz khatri on Sat, 02/02/2019 - 15:39. Submitted by sheeraz khatri on Sat, 02/02/2019 - 15:41. Submitted by sheeraz khatri on Sat, 02/02/2019 - 15:46. Submitted by sheeraz khatri on Sat, 02/02/2019 - 15:48. Submitted by sheeraz khatri on Sat, 02/02/2019 - 15:50. Submitted by sheeraz khatri on Sat, 02/02/2019 - 15:52. Submitted by sheeraz khatri on Sat, 02/02/2019 - 15:54. Submitted by sheeraz khatri on Fri, 08/02/2019 - 15:24. Submitted by sheeraz khatri on Mon, 11/02/2019 - 11:55. Submitted by sheeraz khatri on Mon, 11/02/2019 - 15:33. Submitted by sheeraz khatri on Tue, 19/02/2019 - 09:13. Submitted by sheeraz khatri on Tue, 19/02/2019 - 09:36. Submitted by sheeraz khatri on Tue, 19/02/2019 - 10:04. Submitted by sheeraz khatri on Wed, 20/02/2019 - 08:30. Submitted by sheeraz khatri on Wed, 20/02/2019 - 10:14. Submitted by sheeraz khatri on Wed, 20/02/2019 - 11:06. Submitted by sheeraz khatri on Wed, 20/02/2019 - 11:58. Submitted by sheeraz khatri on Wed, 20/02/2019 - 12:29. Submitted by sheeraz khatri on Wed, 20/02/2019 - 13:18. Submitted by sheeraz khatri on Wed, 20/02/2019 - 13:50. Submitted by sheeraz khatri on Wed, 20/02/2019 - 14:25. Submitted by sheeraz khatri on Wed, 20/02/2019 - 15:11. Submitted by sheeraz khatri on Wed, 20/02/2019 - 16:14. Submitted by sheeraz khatri on Wed, 20/02/2019 - 16:43. Submitted by sheeraz khatri on Wed, 20/02/2019 - 17:18. Submitted by sheeraz khatri on Wed, 20/02/2019 - 17:59. Submitted by sheeraz khatri on Sat, 23/02/2019 - 12:40. Submitted by sheeraz khatri on Thu, 21/03/2019 - 15:02. Submitted by sheeraz khatri on Sat, 23/03/2019 - 08:51. Submitted by sheeraz khatri on Tue, 26/03/2019 - 08:54. Submitted by sheeraz khatri on Tue, 26/03/2019 - 11:24. Submitted by sheeraz khatri on Tue, 09/04/2019 - 15:16. Submitted by sheeraz khatri on Wed, 10/04/2019 - 10:23. Submitted by sheeraz khatri on Thu, 11/04/2019 - 12:10. Submitted by sheeraz khatri on Thu, 11/04/2019 - 17:40. Submitted by sheeraz khatri on Thu, 11/04/2019 - 17:50.